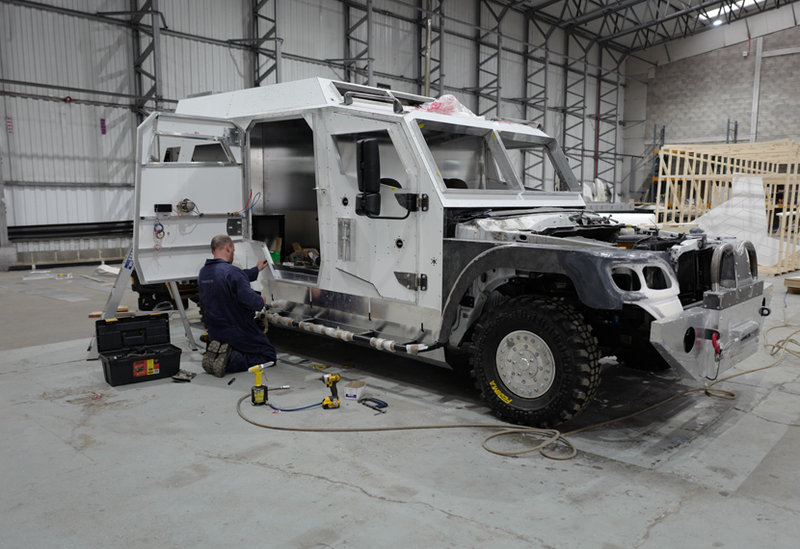 We created three customised vehicles and provided the automation behind a series of high-octane stunts for this project. 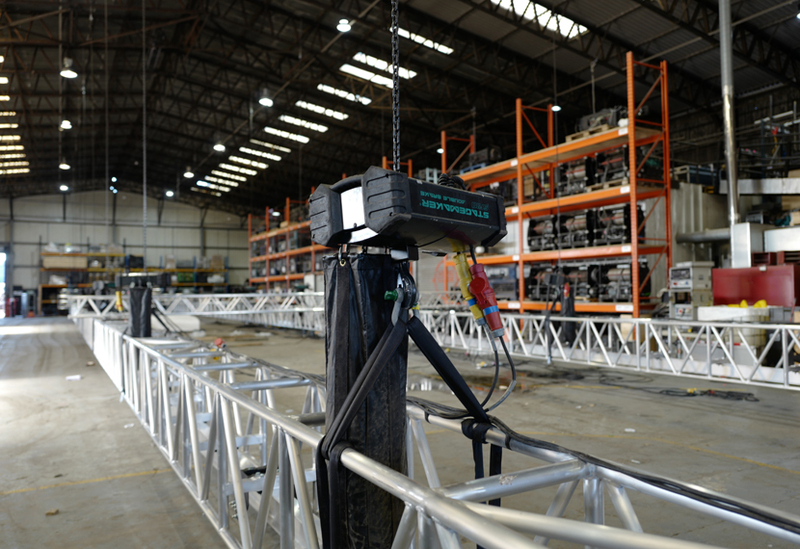 Our technical department were able to put new developments into practice, allowing us to deliver controlled motion to technical set-pieces far quicker than ever before. 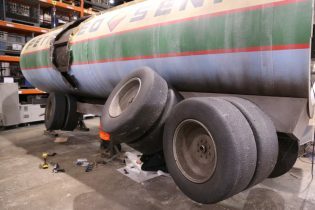 We provided automation engineering for a fuel tanker ‘crash’: the tanker bouncing through the auditorium along a 50m track travelling at up to 3m/s. 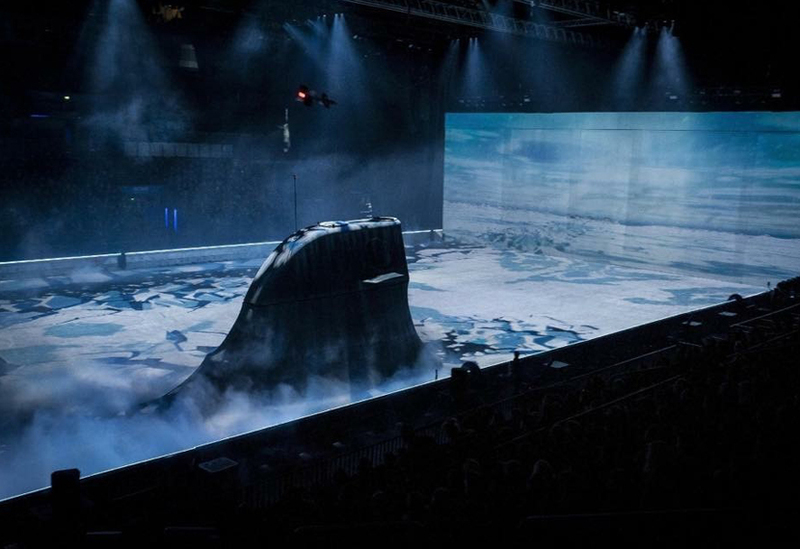 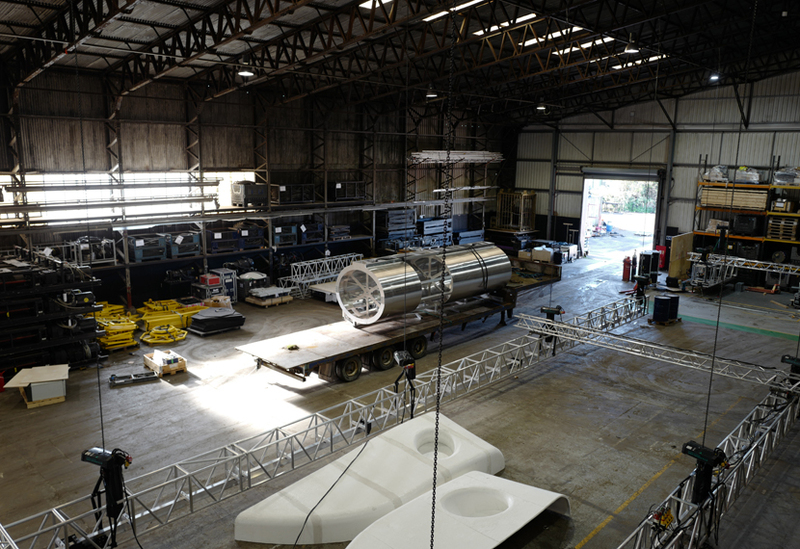 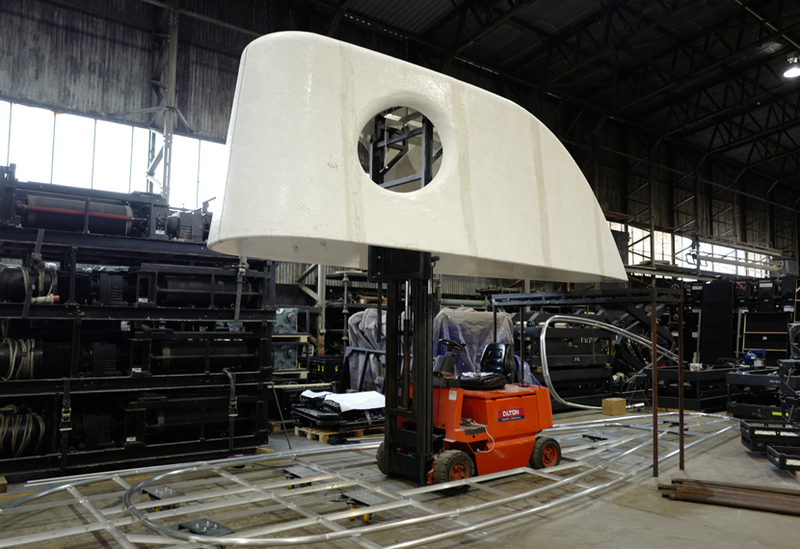 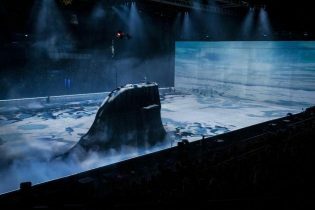 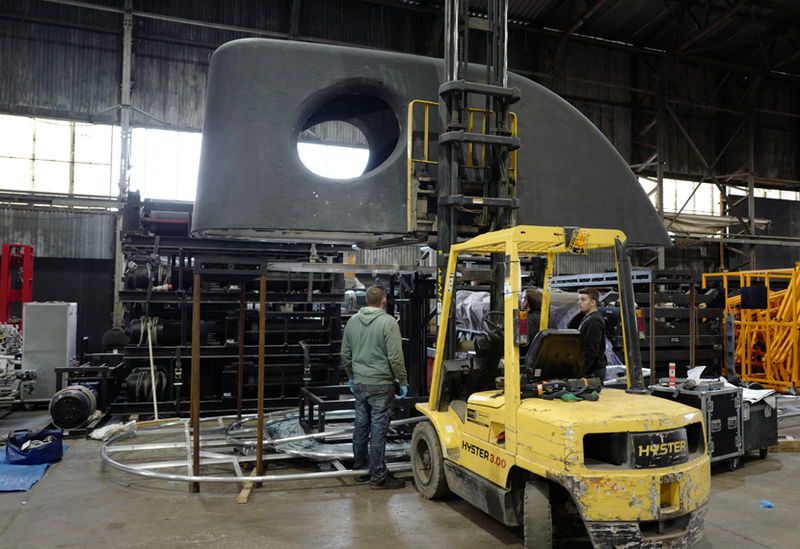 Our team also delivered additional technical support at short notice, creating a 3D rig for a Water Tower stunt that was adapted and working in just a few hours; and drives for a four-tonne train. 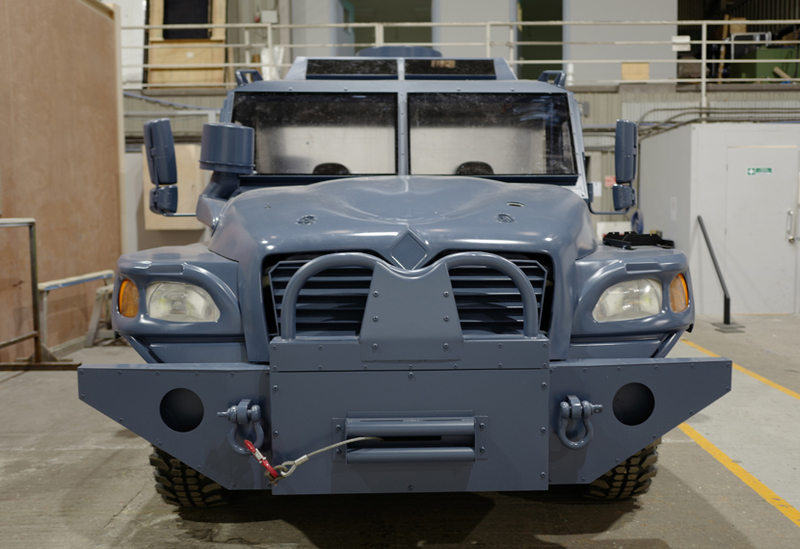 Our scenic team created three vehicles: a ‘Navistar’ military truck, fuel tanker and submarine. 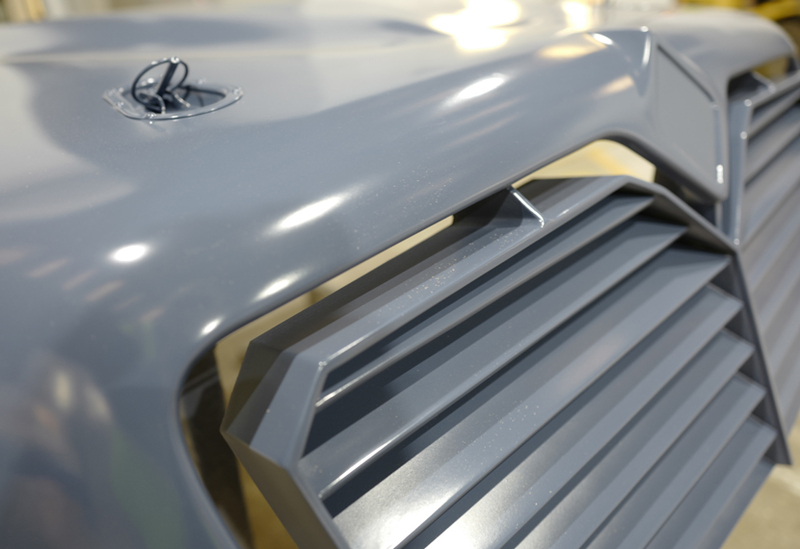 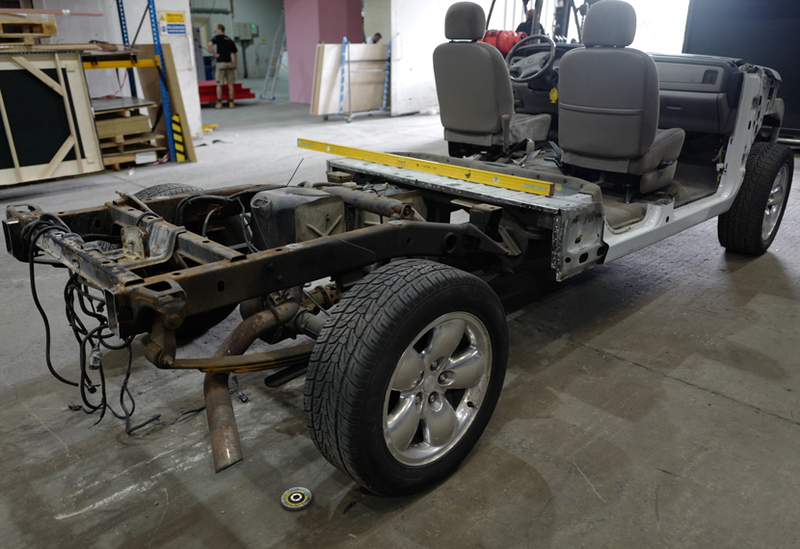 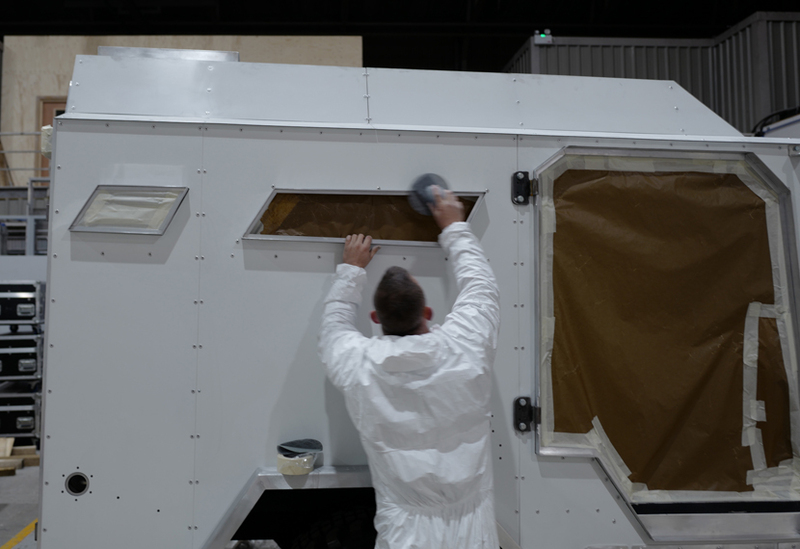 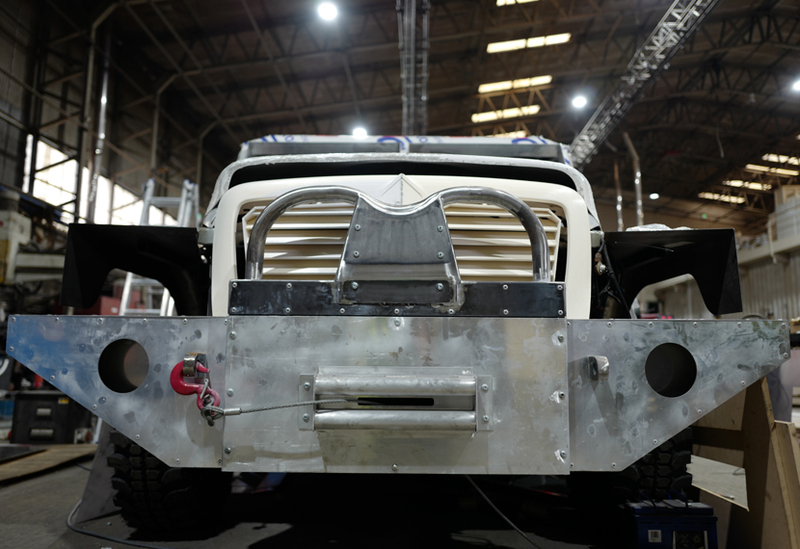 Taking a stripped back chassis, the truck was customised with additions including 3D printed grille and a stunt fire chamber. 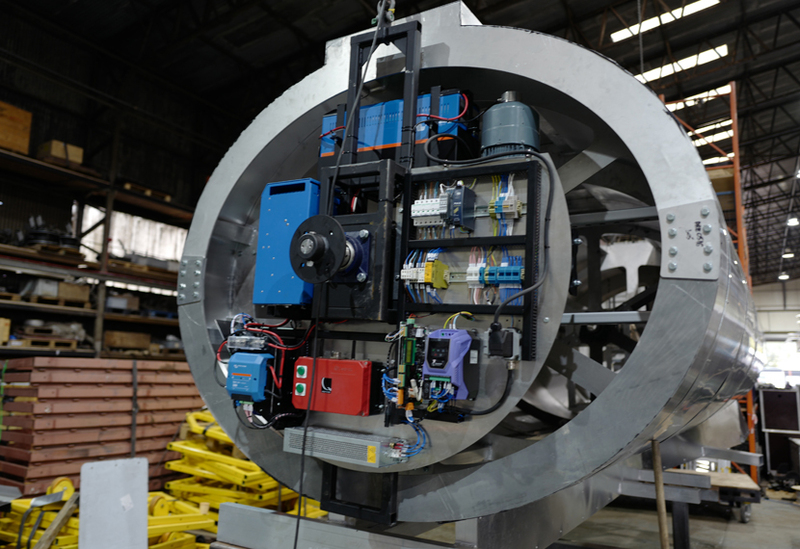 The tanker, a complex package of automation, was given a distressed finish while the submarine comprised a clever GRP and fabric frame, built around an adapted forklift.